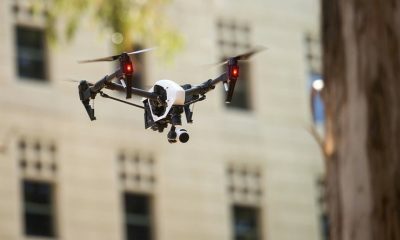 [By Derrick Threatt for Aeriographer.com Las Vegas, NV] DJI has just released the DJI Zenmuse X5 and X5R Camera Gimbal System at Interdrone in Las Vegas and confirmed the rumor that they were releasing a new camera system for is DJI Inspire 1 Drone to replace the X3 series gimbal. We would also assume that this system can as well be used with a DJI Matrice system as well. DJI’s Eric Chen also confirmed that they are working on the next generation Lightbridge 2 as well that will offer superior range and quality over the current lightbridge system. Roswell Flight Crew got it the entire announcement on film. Two models of the DJI Zenmuse X5 were announced: X5 and X5R. Looks like they are also going to be releasing the Inspire 1 Pro (which comes with the X5 instead of the X3) for $4,499. Stand alone price for the X5 is $2,199. Shipping will be the end of Sept 2015. As well, the Inspire 1 RAW, which is an Inspire 1 with an X5R for $7,999. A ship date for the X5R is Q4 2015 with no pricing separately. If you do the math the combo gives it a $3,500 price difference over the X5, so guesstimate around $5,799 for just the camera and hopefully a lens. I think for that price I would rather go with a BMCC pocket and or Black Magic Micro Cinema Camera and just go 1080 for now. They announced as well a focus wheel, the DJI Focus. Hopefully, this will ship with the X5. [Press Release] DJI, the world leader in creative aerial imaging technology, today announced two new cameras for its industry-leading DJI Inspire 1 professional aerial camera platform. The new DJI Zenmuse X5 represents the world’s first commercially-available micro four thirds (M4/3) camera designed specifically for aerial use. With a large sensor, aerial image makers will be able to capture up to 13 stops of dynamic range, making it easy to capture high-resolution 16-megapixel photos or 4k, 24fps and 30fps videos in complex lighting environments. 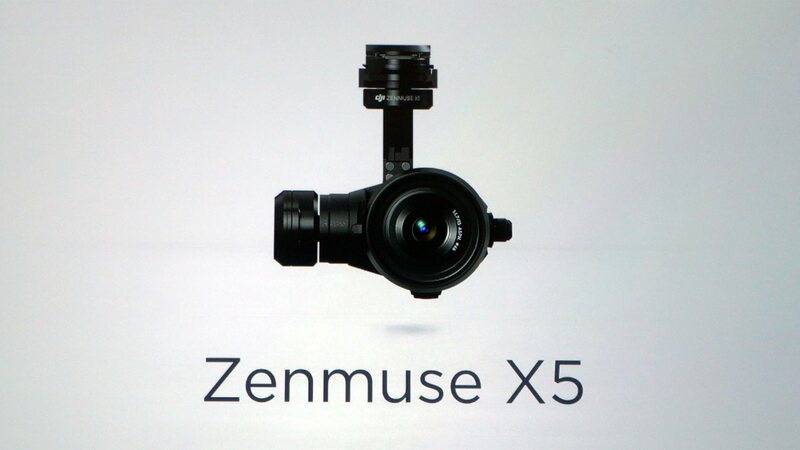 DJI Zenmuse X5 users will have even more options for capturing images in the sky through additional supported lenses and full wireless aperture and focus control. At the time of launch, the Zenmuse X5 will support 4 interchangeable lenses, including the DJI MFT 15mm f/1.7 ASPH lens, Panasonic Lumix 15mm G Leica DG Summilux f/1.7 ASPH lens, Olympus M.ZUIKO DIGITAL ED 12mm f/2.0 lens, and Olympus M.Zuiko 17mm f/1.8 lens. While the Zenmuse X5 is in flight, pilots can adjust both focus and aperture via the DJI GO app or through DJI’s previously-announced Follow Focus system. The camera’s lightweight 340 gram (0.75 pounds) body integrates with DJI’s signature 3-axis Zenmuse gimbal technology, creating effortlessly smooth video and stabilized long-exposure photos (up to 8 seconds). DJI also announced the DJI Zenmuse X5R camera, which shares the same sensor and lens compatibility with the X5, but records video both to an onboard microSD card as well as to a removable 512GB solid state disk (SSD) on the gimbal’s top plate. The Zenmuse X5R records CinemaDNG (RAW) video to the SSD, and opens up lossless 4k video recording in a groundbreaking, compact form factor with video bitrates averaging 1.7Gbps (with a maximum of 2.4Gbps). The DJI Zenmuse X5R also offers a brand-new D-LOG mode that offers a broader array of color correction options in post production. The Zenmuse X5 is available for pre-order at store.dji.com for $4,499 (€4,999), including a DJI Inspire 1 and DJI’s MFT 15mm F1.7 ASPH lens, and will begin shipping before the end of September. The Zenmuse X5R will be available in Q4 2015 for $7,999 (€8,799). Both can be purchased as stand-alone cameras with, or without lens. 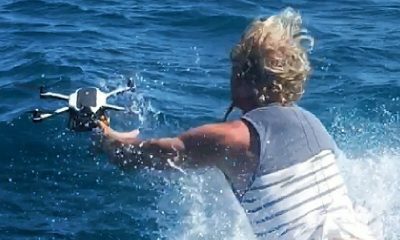 More information can be found at dji.com. Major differences between the X5 and X5R is that the X5R has 512 GB SSD built in and has dual recording for proxy files. As well, it has RAW CinemaDNG mode. Hopefully, we can get our hands on a unit over the next few days and give you a report.